The family gets together for an early visit. No man should begin writing about his relationship with his children without first praising his wife. Have you ever been in a delivery room? I mean seriously. 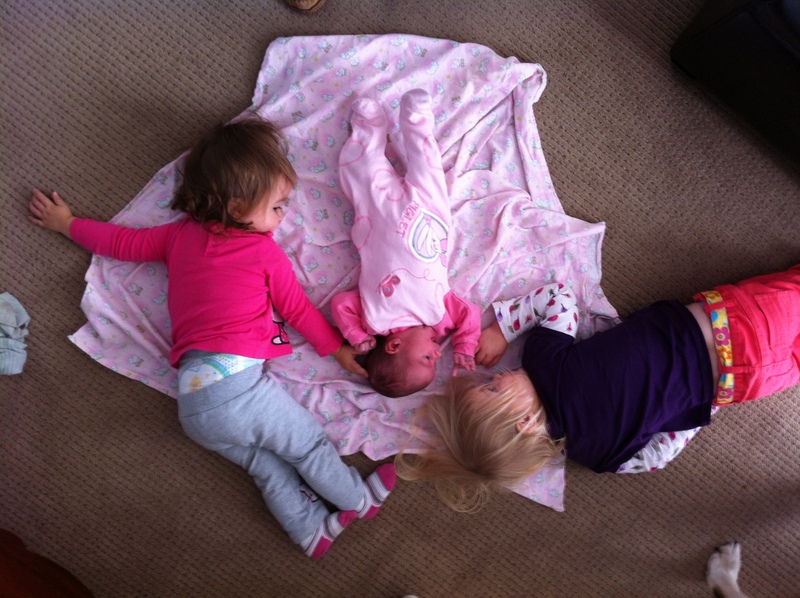 So, first things first, this site is dedicated to my wife, who brought into this world three beautiful girls. Quickly. In a span of almost exactly four years, my wife was pregnant 27 months. That’s 27 out of 48. I’m a journalist, so don’t ask me to phrase that as a fraction. It’s a lot, we can all agree. Really, she should have been blogging about that experience. You know, between all the retching. Now, in what felt like an instant, we’re surrounded by a trio of darling girls. They’re all so incredibly unique and so amazingly perfect. They’re why I’m here, sharing with the world our stories. Okay, so some of that stuff about them was BS. The girls drive us up the wall a lot of the time. They whine. They cry. They refuse to eat. Then they’ll do something incredible like tell you, unsolicited, how much they love you. Then you feel like a jackass. Then they’ll swear in front of the neighbours and you’ll want to crawl into the storm sewer and re-emerge when they’re 22 years old. It’s going to be a long, strange trip.